Firstly, I just want to say thankyou to Derek Wayne Johnson, director of the independent Crime/Drama film “Broken Blood”. I really appreciate the opportunity to see the film before its official release date. 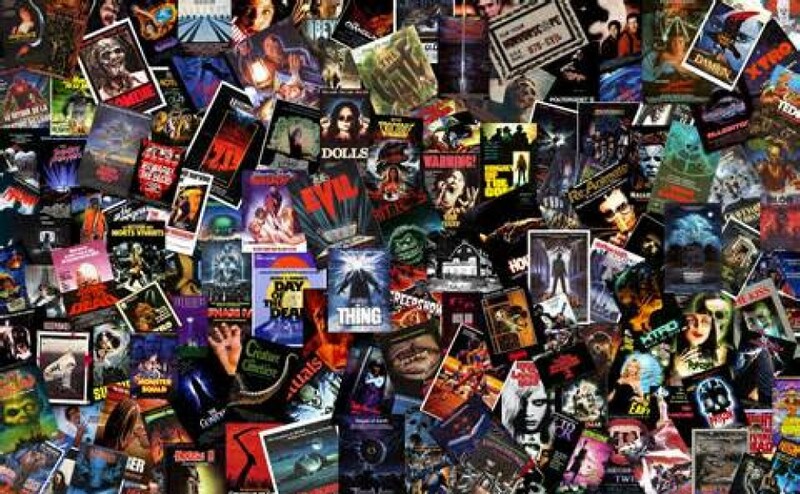 I recently reviewed another one of Derek’s films called “Scrape” which was a cool 80’s style slasher flick. “Broken Blood” is a much more serious and dramatic screenplay that drew a really talented group of actors to want to be a part of it. It’s the story of twin brothers Stone and Stanley DeBrock. Stone has made somewhat of a career out in Hollywood making movies, while his brother Stanley (a mentally challenged man), was implicated in the disappearance of a young girl from many years ago and now resides in an asylum. Upon Stone’s return to his hometown he deals with the relationship he has with his father, his past love Diane, a messy money situation with his estranged Uncle Earl and needs to get closure on what happened with his brother. If that isn’t enough he realises that not all is as it seems with the situation surrounding Stanley and the missing girl. The film stars Derek as Stone/Stanley. And includes the likes of Marc Macaulay (12 Years a Slave, Pawn Shop Chronicles and Monster), Pruitt Taylor Vince (True Blood, Deadwood and Identity), Richmond Arquette (Fight Club, Smashed and Seven), Robert Miano, Tom Wright, Dana Daurey, Ali Costello and Rick LaCour. Broken Blood had some interesting ideas and its quiet a well written screenplay, considering Derek is new to directing. I thought the introduction to the story was well told, it gives the audience an idea of the differences between Stone and Stanley before we get to know anything about what has happened in their lives. I think both the audio and camera work are very solid. I like the fact that Derek gets the basics correct because let’s face it, that’s half the battle in low-budget/independent filmmaking. I’m not too sure about the budget for this film but I’d imagine it to be less than $100,000. I really like the unique somewhat out-of-place song choices that are used throughout the film. It’s a lot of 20’s and 30’s blues and jazz music playing on the radio, I really dug that. The film’s strongest aspect is Derek’s performance and his ability to be able to connect with all his actors/actresses. To draw actors of this calibre to a low-budget project like this would be a very difficult thing to do. I think it must say a lot about Derek’s character for everyone to get behind him on this film. He is good in the role of Stone and when he switches to Stanley (if only for a couple of scenes), it reminded me a lot of the brilliant Michael Jeter (R.I.P) and his performance as Eduard Delacroix in “The Green Mile”. It’s just the mannerisms and the voice that Derek used that made me think of that film. I’m also a big fan of both Marc Macaulay and Pruitt Taylor Vince, both of whom deliver nice performances playing Stone’s father and Uncle respectively. Ali Costello plays Diane, Stone’s ex-partner. She only has a couple of scenes but they were both memorable due to her sincerity and likeability coupled with the fact that she is a stunningly beautiful girl. It was nice to see someone real not your typical cliché love interest. I wish that whole sub-plot was elaborated on a bit more. I liked the fact that unlike Derek’s other film “Scrape” this was not so predictable in the subtly’s and nuances of the script. The final act of the film throws you for a loop and makes you question things a little more than you maybe were for the first half of the film. However, I still found the overall story to be a mish-mash of ideas that never really grounds itself in reality, with a lack of any real emotional connection. The color was washed out in a lot of the scenes, I think that was probably intended though. I didn’t like the flashback scene in the beginning of the film showing what had taken place years before. It would have worked just as well without that because it plays out as a mystery anyways. There is a lot of quick cutting and editing which could have been smoothed out and Derek’s narration misses the mark, I found it a little forced in the tone and style. It did help clarify a few details though, so that was something. There were certain sequences that I found myself really caring about and then a lot of what I can only describe as filler to advance the plot in between those great scenes. The entire sequencing and manner in which the story is told becomes a little confusing at times, especially if you miss a part of dialogue here and there. I was a little more keen by the time events escalated leading up to the final act. Sadly the entire story lacks emotional punch because nothing is really elaborated on or looked into. I thought the relationship between Stone and Diane would have made for a great sub-plot and more details on what happened with her side of the family and the suicidal sister etc. Instead that whole side of the story was abandoned just over half way through the film. 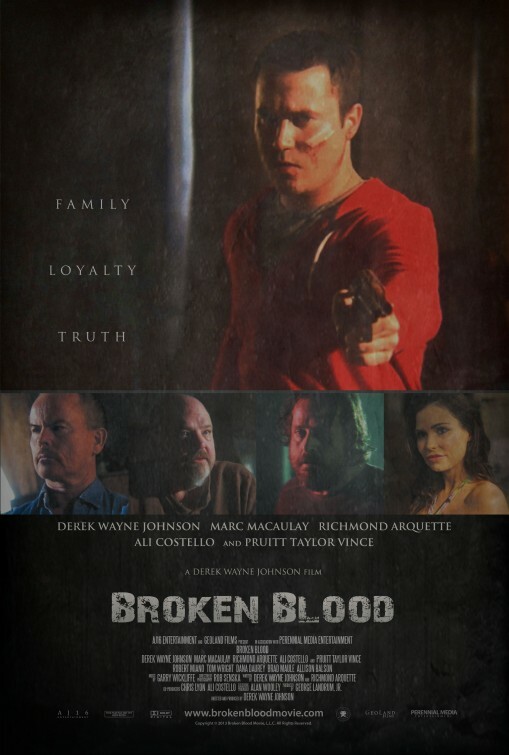 Broken Blood has a great cast that you have to commend for their performances and dedication to such a low-budget non Hollywood film. I think for the most part its technically well made and there are some interesting ideas in the mix, I just think it fails in the delivery. Sadly its a bit of a poor man’s “Sling Blade” which is one of my personal favourite films. I think the effort is really there and it takes guts to write a drama based story and to tell it well. I have no doubt Derek is going to continue to improve with time and experience and I can’t wait to see what he does next! !